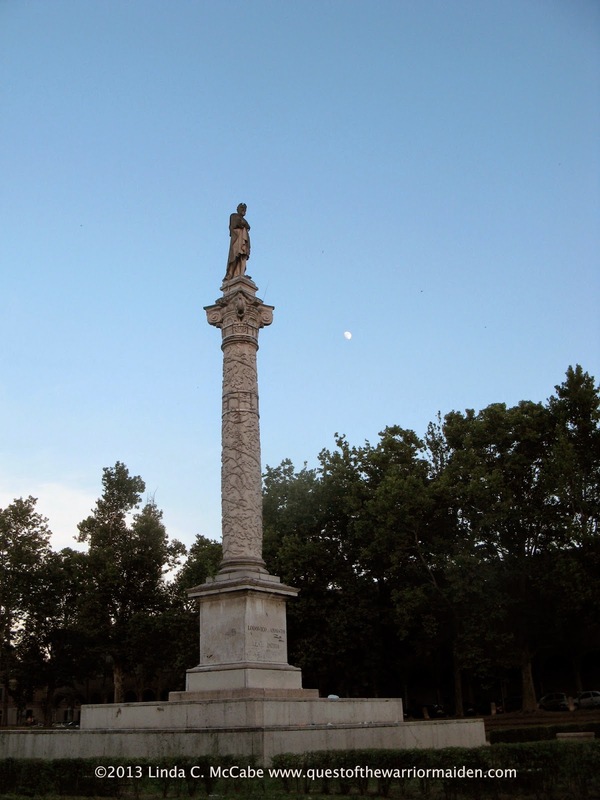 Of courtesies and of brave deeds I sing..."
Last year I spent three weeks in Italy in research for my writing. The highlight of my trip was spending an entire day in Ferrara. I walked miles that day searching for sites associated with Ludovico Ariosto, Matteo Maria Boiardo and the noble house of d'Este. Having spent years adapting Ariosto's masterpiece into a series of novels for modern day audiences, I wanted to surround myself in the beauty and charm of Ferrara and to visit the places where Ariosto wrote. It was an inspirational trip and I look forward to returning to Italy, hopefully in 2016 to help commemorate the 500th anniversary of the original publication of Orlando furioso. 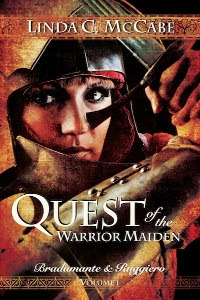 To help celebrate Ariosto's 540th birthday, my novel Quest of the Warrior Maiden will have a special discount price during his birthday week. The regular sale price is $4.99 for the ebook and $16.99 for the trade paperback. For this week the e-book is only 99 cents at Amazon.com and the trade paperback at $12. The discounted price will be available until Sunday, September 14th. Here are some links for my international friends to access a similar discount at foreign Amazon outlets. Please share this information with your students, friends, colleagues, anyone who enjoys epic tales of chivalry. I am also happy to share with you some good news about my book with the following glowing review and mention of awards it has won. For those wondering about the progress of the sequel, I am about a third of the way through. I am currently writing about Aistulf (Astolfo) chasing the Harpies into the Underworld. My goal is to have the sequel finished in time for the 2016 Medieval Congress and all of the celebrations marking the 500th anniversary publication year of Orlando furioso.